Following a successful student-lead drive to raise funds for food and supplies for the IDF troops serving in Gaza and on Gaza border, AMHSI staff has joined in on the effort and raised an additional $1,000. 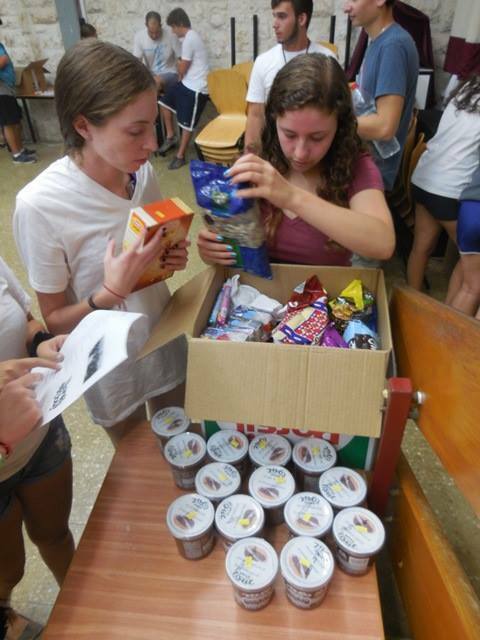 The much-needed supplies will be purchased this week and sent to the IDF units on the Gaza border. The previous delivery of food and supplies, along with the handwritten notes prepared by the AMHSI students were received with much gratitude by the soldiers. “On behalf of the IDF troops who are keeping all of us safe here in Israel, we would like to thank everyone who has contributed to this campaign,” said Orit Rome, AMHSI Co-Executive Director. 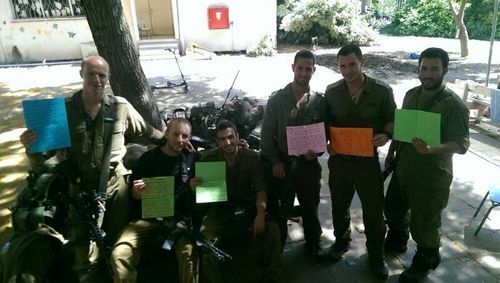 In the this video, Daniel, who is a part of Orev Nahal, a unit of the Nahal brigade, expresses his gratitude for the delivery. “We got all your donations out there in the battlefield,” said Daniel in the video message. “And it really touched our hearts. We love you, guys.